Located 9km south of Squamish on Highway 99, Murrin Provincial Park is a playground for climbers, picnickers and hikers alike. There is a lake here, right near the entrance and parking area of the park that is a favourite for locals looking to cool off on a hot summer’s day. There are two main trails in Murrin. The first is Browning Lake Trail, which winds its way around Browning Lake and the forest and crags closest to the lake. The second trail is the newly opened Murrin Park Loop Trail. Also known as the Quercus Trail, this is a 1.8km loop of intermediate difficulty that meanders through the heart of Murrin Lake Provincial Park. 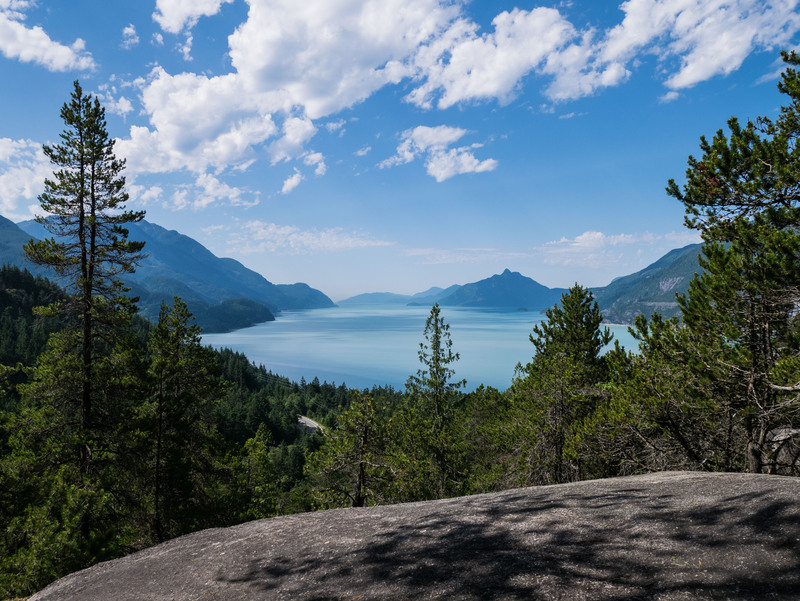 It is the trail used to access most of the rock climbs in the area and offers stunning views of Howe Sound and a glimpse into the world of rock climbing.